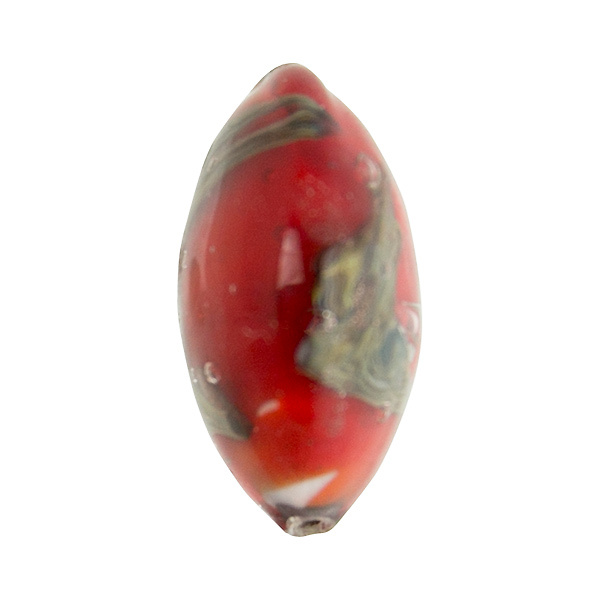 This unique authentic Murano Glass Bead begins with a core of Rich Red layered with sprinkles of Aventurina and swirls of Calcedonia all completely encased in clear Murano Glass. Note that there may be bubbles in the clear glass used in the overlay. This is normal and not a defect. No two ever exactly alike. The shape is a disc, lentil, slighty thicker in the middle and thinner on the edge and is appoximately 23mm in diameter with a 1mm hole. 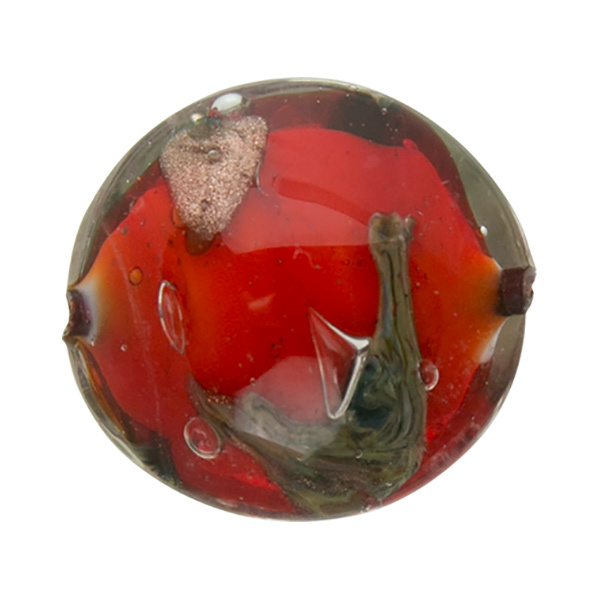 NOTE: This technique of coloring glass is evolved in Murano as early as the 15th century. This special technique involves the use of silver nitrate in molten glass. The resulting coloration and designs are completely unexpected. We never know exactly the colors that will be revealed.